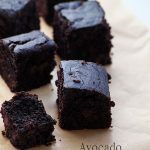 How to Make Vegan Avocado Brownies Recipe with step by step photos – These eggless brownies are so easy, healthy and delicious. Here’s the step by step recipe. If you are looking for more eggless baking recipes then do check Microwave Chocolate Lava Cake, Chocolate Chip Crescent Cookies, Eggless Banana Wheat Chocolate Chip Muffins, Vegan Banana Cake Recipe, Wheat Oat Almond Cookies and Banana Sorghum Muffins. 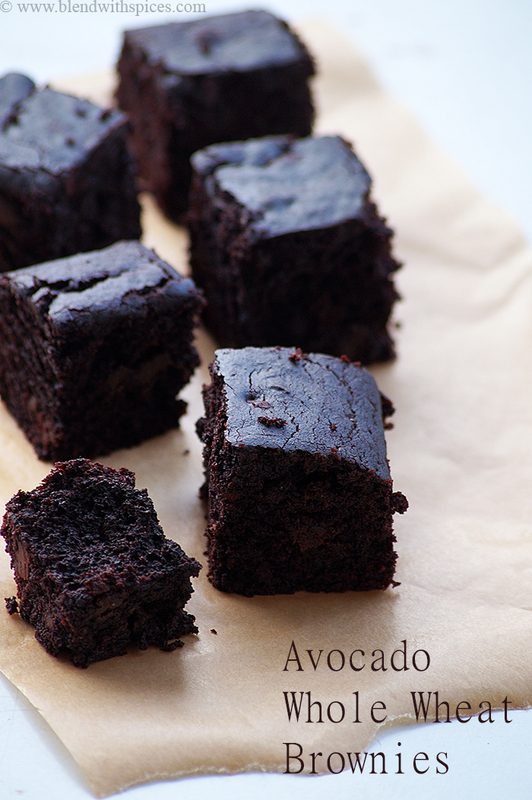 A healthy and delicious chocolate avocado brownies made with few healthy ingredients like avocado, whole wheat flour and olive oil. Preheat the oven to 180 degree C. Grease a baking tin and keep it aside. 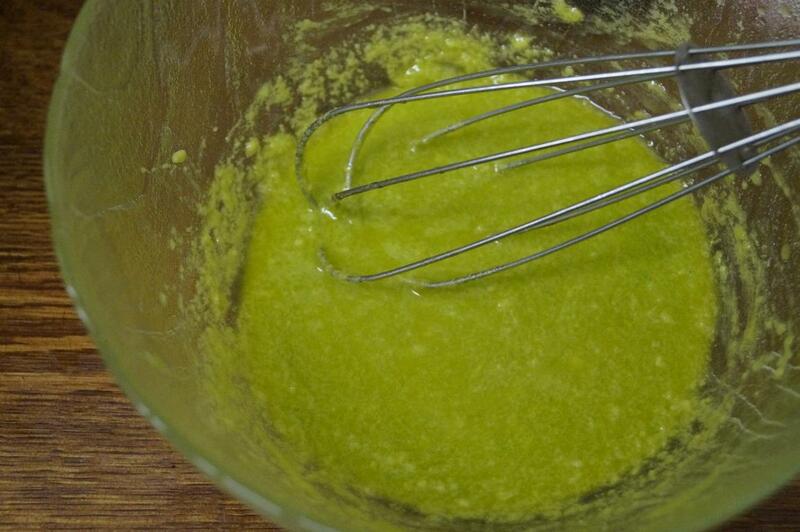 In a mixing bowl, whisk together the avocado pure and olive oil until well combine. 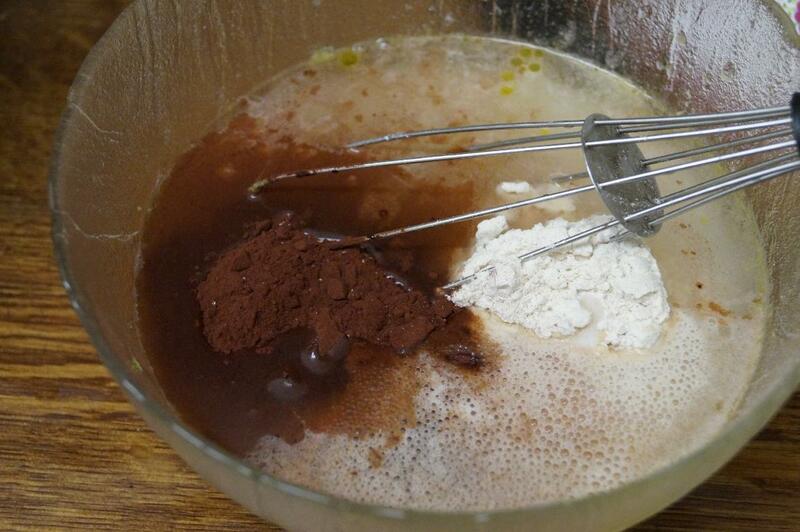 Add the water, wheat flour, cocoa powder, baking soda, sugar, salt and lemon juice and mix everything until smooth. Add the chocolate chips / chocolate chunks and gently fold the mixture. Pour the brownie batter into the prepared tin and bake for 30 - 35 minutes, or a toothpick inserted into the center comes out moist with few crumbs (not clean). Remove from the oven and cut into squares. Cover and store in the refrigerator for up to 3 days. 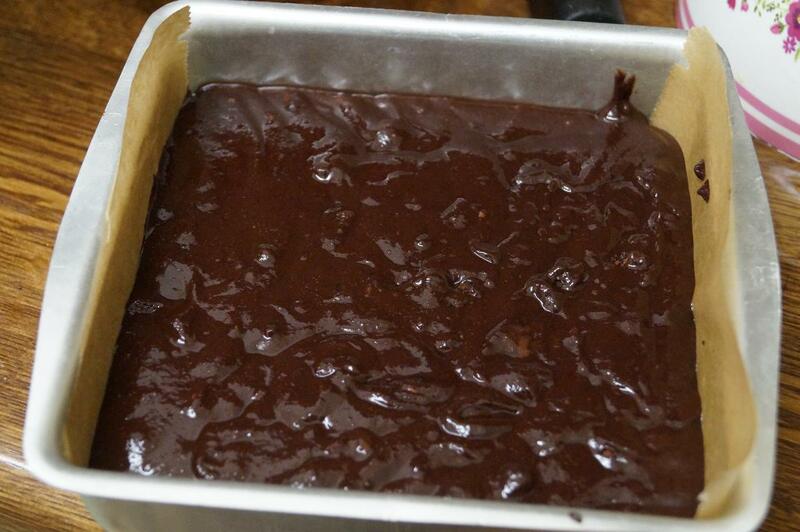 The brownies will have a cake like texture if you over-bake them. Don't overbake them. 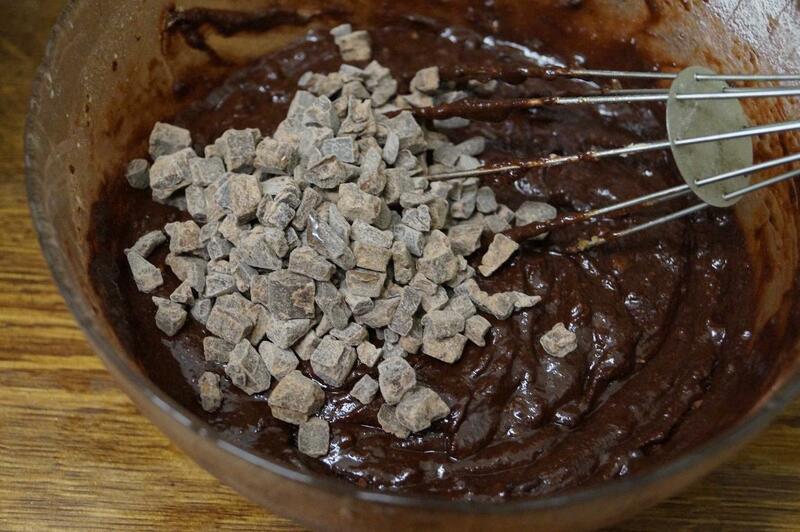 You can add more chocolate chips on top before baking. 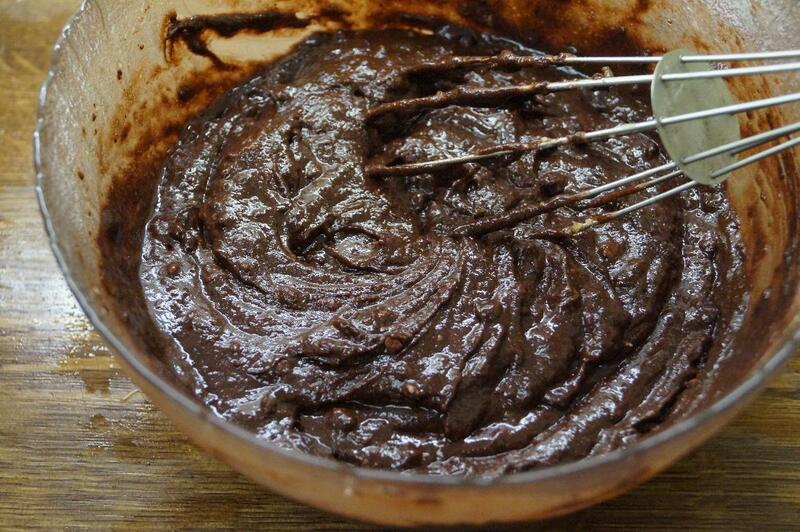 Pour the brownie batter into the prepared tin and bake for 30 – 35 minutes, or a toothpick inserted into the center comes out moist with few crumbs (not clean). The brownies will have a cake like texture if you over-bake them. Don’t over-bake them. I’ve used 6X6 pan.. You can use any pan but the baking times may vary. Hai Hari Chandana, Recently I get into your blog, you have a ‘wonderful’ blog. 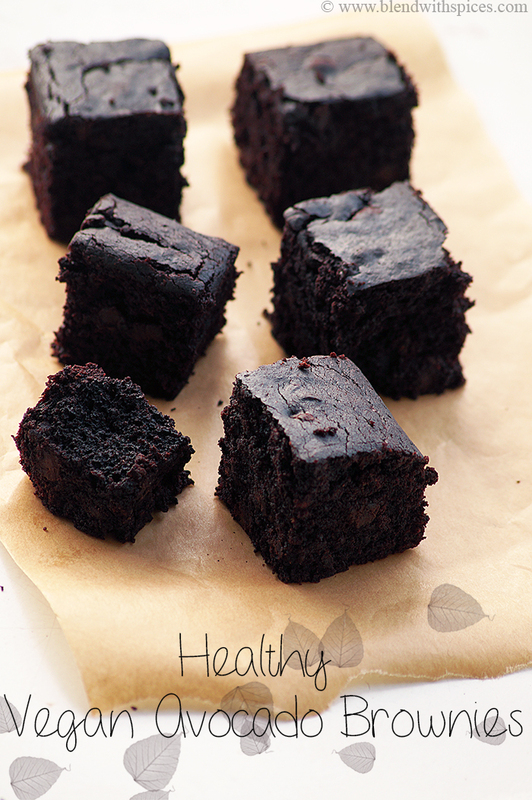 Love the recipe presentation and your food photos.This brownie looks so yummy, want to try this vegan version. May I substitute pureed banana or maple syrup instead of sugar? If yes, how much do you recommend? Can u sub a gluten free flour in the recipe? Hi There, I made these last night and they are delicious, thanks for sharing! Would they be suitable for home freezing?